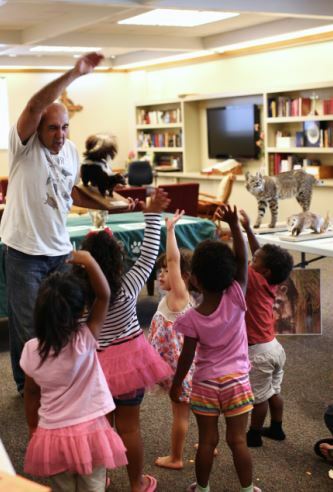 Our Nature Van Program is completely booked for the 2018/2019 school year. If you would like to be added to the waitlist, please fill out the Nature Van request form below. In the comments and question field please indicate days of the week and month(s) that you would be interested in booking. If a date becomes available, we will contact you. We will begin accepting bookings for the 2019/2020 school year in the first few weeks of May, 2019. 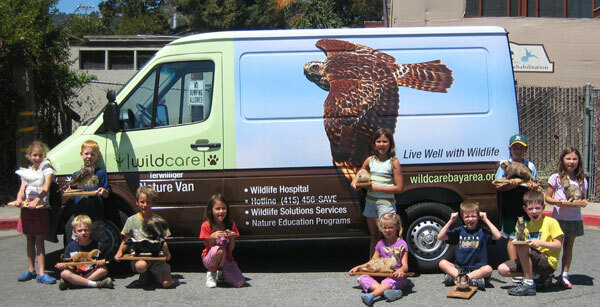 To be added to the Nature Van waitlist, click here or call 415-453-1000 x19. 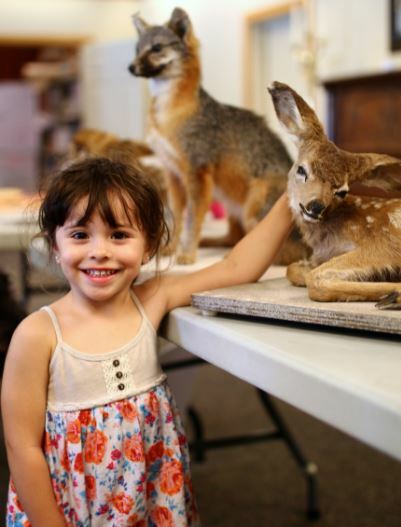 Let us bring the wild to you with a visit from our Nature Van full of taxidermy, skeletons, bio-facts, and more! Have you ever touched a skunk’s fur or felt a rattlesnake’s scales? This interactive presentation provides students with the opportunity to be hands-on with animals they wouldn’t otherwise be able to experience up close, leaving them with a strengthened sense of responsibility toward preserving our planet. A touch of feathers, fur and scales! Learn about the astounding animals that live right here in our own neighborhoods. This presentation provides an overview of our state’s wonderfully diverse wildlife. From zipping hummingbirds to soaring raptors, examine the amazing adaptations of our feathered friends. Students will leave thinking that perhaps having a bird brain isn’t such a bad thing! Purrs, howls, hisses and growls! Investigate the surprising diversity of mammals, from marsupials and mustelids to felines and canines, and find out where humans fit into this furry cast of critters. Who is hiding amongst the tallest trees in the world? Take a peek into life in a Coastal Redwood Forest. From banana slugs on the forest floor to owls in the canopy, investigate the interdependency of organisms hidden in each layer of this spectacular forest. Dive into the remarkable ways animals have adapted to living in each ocean habitat, from tidepools and sandy beaches to kelp forests and the open ocean. Creeks, ponds and wetlands! Wade into the unique lifecycles of the animals that pass through these watery worlds. Explore this vanishing habitat to learn exactly why it is worth preserving and how you can help. 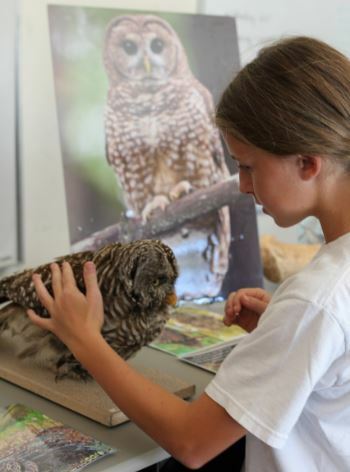 Let our local wildlife teach you simple ways to help preserve our planet. Investigate the issues affecting wildlife and learn simple ways that you can make a difference. It’s easy being green! $180 for 1st presentation, $110 for each additional presentation, $1 per mile travel fee ($10 minimum). 45-60 minute presentations, pre-K to adult, 30 person maximum per presentation.